Several weeks ago I had the opportunity to shoot for the Austonian, the tallest residence and tallest building in the Austin Skyline. This building is actually the highest all-residential building west of the Mississippi at 683 feet tall. On the 54th story is a penthouse that spans the entire floor. Windows completely surround the entire floor, giving you a 360 degree view of Austin, Texas, from bird’s eye view. From one of the two balconies, you can have great unobstructed views looking north down Congress Avenue to the Texas State Capitol, the UT Tower, the iconic Frost Bank, and DKR (the UT football stadium). From the balcony facing south, you enjoy a commanding view of Ladybird Lake, the Congress Bridge and First Street Bridges, Auditorium Shores, and I-35 in the distance as it heads south towards San Antonio. This is a great place to enjoy a sunset or two. If I had a lot of cash sitting around, maybe I’d buy the place. The building opened in 2010 for residents, and the folks that work there are the nicest people. Here are two panoramas of the Austin Skyline. Thanks for looking! 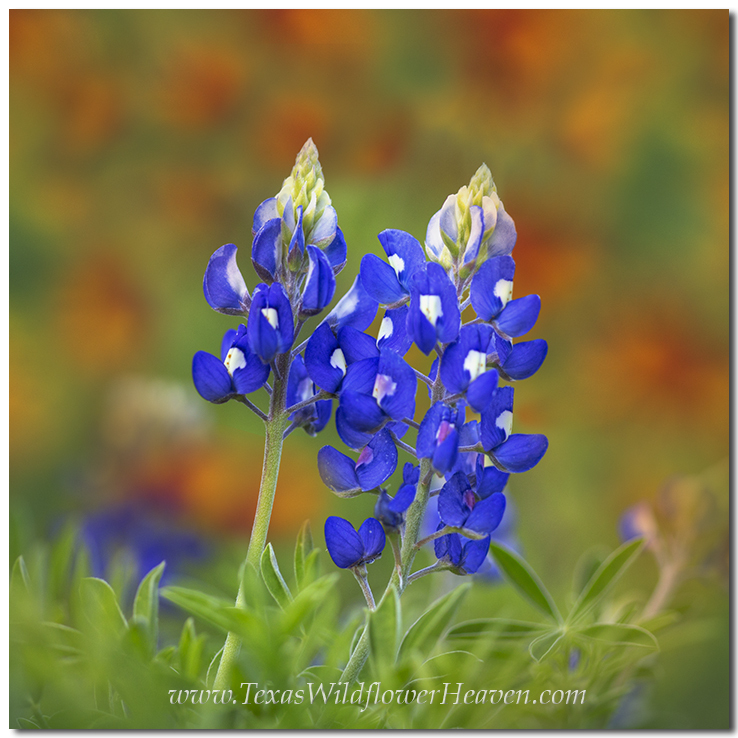 I took some time on Sunday to scout out the Texas Wildflowers and hopefully find some nice places to capture bluebonnet images. I started in Dripping Springs and took Hamilton Pool Road to where it crosses over 281 (and turns into RR 962). Then I took 281 into Marble Falls. There are a few roads there I’ve found nice bluebonnets in the past, but this time the fields offered nothing but cactus and grass – no bluebonnets at all. Also, the old house just outside of Marble Falls that has graced the cover of magazines with its annual display of bluebonnets had no wildflowers at all. So I headed up 71 towards Llano. Along the ditches of 71, there are a few nice patches of bluebonnets and coreopsis, but nothing that stretches far enough to make me want to get out and take some photographs. CR 304 is one of my favorite places, and even that road had nary a bluebonnet. One of my old standbys is 152 that goes from Llano to Castell. You can usually find great places to take pictures of wildflowers, especially bluebonnets, along this winding rural road, but not this year – or not yet, anyway. I’m hoping that the recent rains will spur our wildflowers to grow more. Maybe we will not have as many bluebonnets this year, but perhaps will have an influx of golds and reds with the coreopsis and firewheels. Time will tell. On my way home, I again passed through Cypress Mill along 962. There is an old cemetery on the right just past the stop sign as you turn left onto Hamilton Pool. There were a smattering of bluebonnets, so I figured I’d stop and take a few shots of that location (just so I’d have something to show for the trip). Well, a car had driven up in the lot in front of the cemetery and a couple was tromping around in the middle of the bluebonnets! Good grief. So much for that location. (this was not in the cemetery, but in a field between the cemetery and road. Hopefully I’ll have better luck at wildflower hunting next weekend. Just so I have something to offer, here is an image of bluebonnets with indian blankets (firewheels) in the background. This picture was taken with a macro lens on my land… I like the contrast in colors.